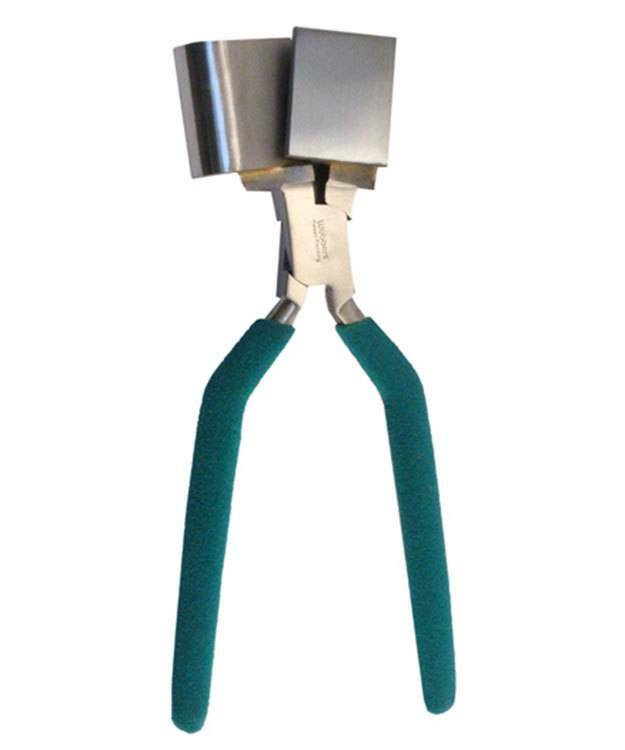 A favorite design among wire workers and wire wrappers, these pliers measure approximately 7" inches long. 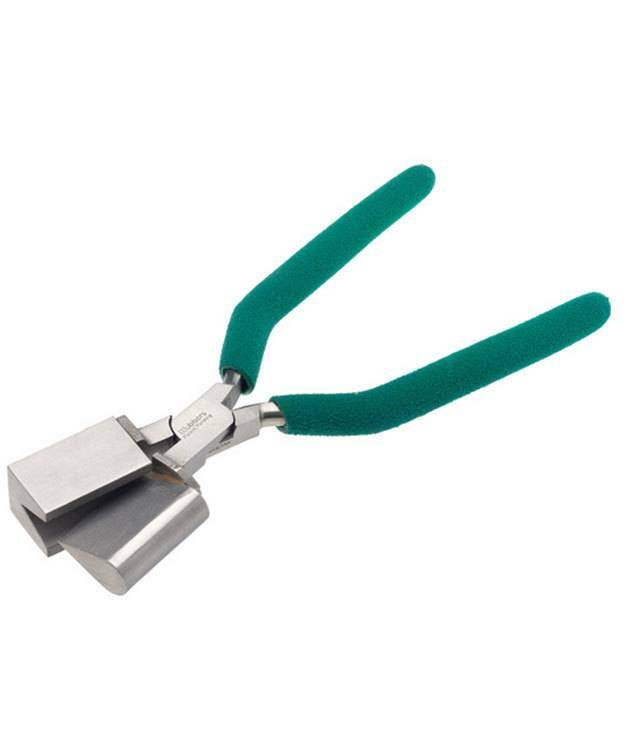 These pliers are great for making even, consistently tear drop shapes for wire wrapped pieces. 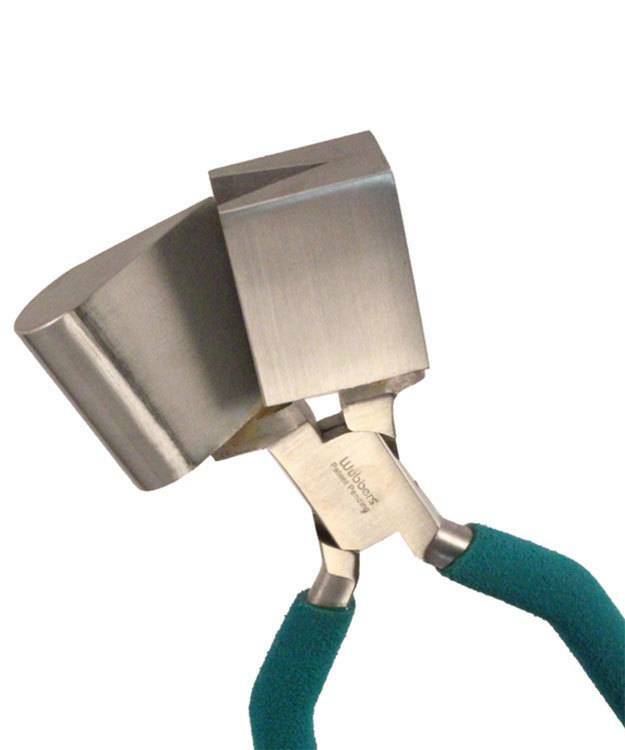 The large, padded handles are extra comfortable and provide plenty of leverage when working with heavy-gauge wire. The jaws are straight (as opposed to being tapered). This is a plus for making even, straight pieces. In addition, the tear drop features a rounded back and a sharp "peak". 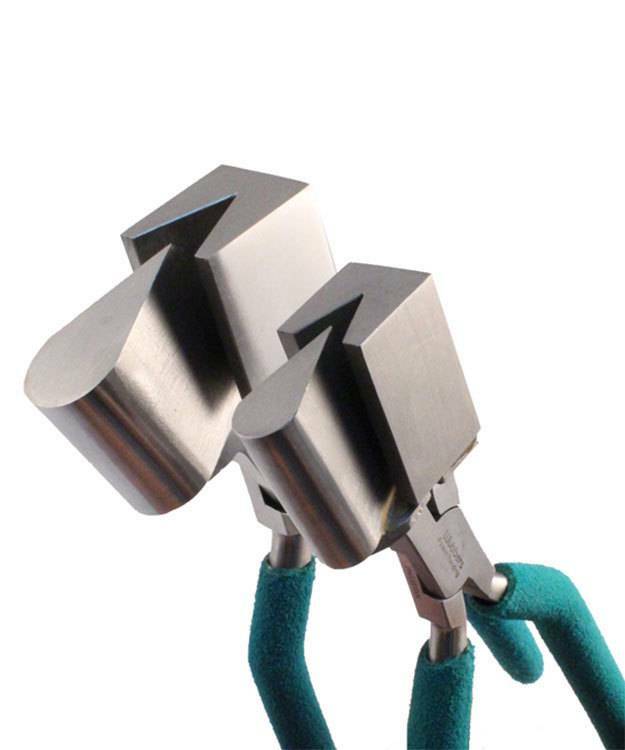 These Wubbers pliers are quite unique and will surely add a new dimension to your creativity. The tear drop jaw measures 37 x 20mm. The length of each jaw is 34mm (1-5/16"). They are recommended for use with up to 14ga dead soft wire and up to 20ga dead soft sheet.